The YouTubers will not be televised. 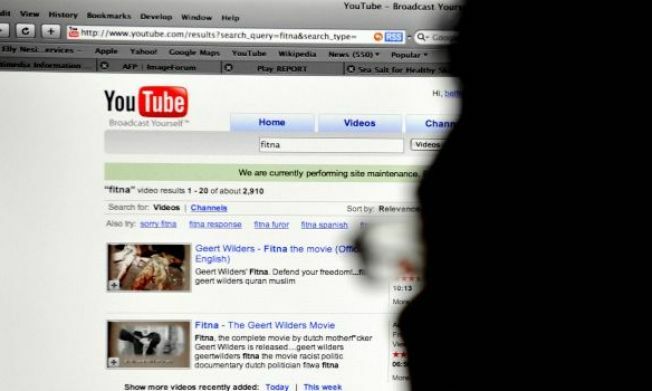 The Chinese government has banned its citizens from viewing videos on YouTube, the video sharing site's owner Google said Tuesday. Google trackers noticed late Monday that Chinese traffic of YouTube had decreased dramatically and watched as it dropped to nearly zero Tuesday morning, the New York Timesreported. “We don’t know the reason for the block,” YouTube spokesman Scott Rubin told the Times. “Our government relations people are trying to resolve it." Chinese officials have been selectively blocking YouTube videos for months in an attempt to weed out dissent. It routinely monitors all Internet content visited by Chinese residents and can limit access at its discretion. But the Chinese recently have begun to fight back against the censorship, finding loopholes to get around the eyes of their Big Brother government. One Internet video in particular, which features mythical creature the "grass-mud horse," has become an icon for the anti-censorship movement. When written, the creature's name is benign, but when spoken, the word for "grass-mud horse" becomes an inflammatory expletive. Chinese officials told Reuters that they didn't know about YouTube being blocked and stressed that they had a positive view of the Internet and its content. "Many people have a false impression that the Chinese government fears the Internet. In fact it is just the opposite,” Foreign Ministry spokesman Qin Gang told reporters, Reuters said.